Grammar. Just the sound of the word brings on glassy-eyed stares, groans, and possible snores. Don't despair. Grammar can be fun! 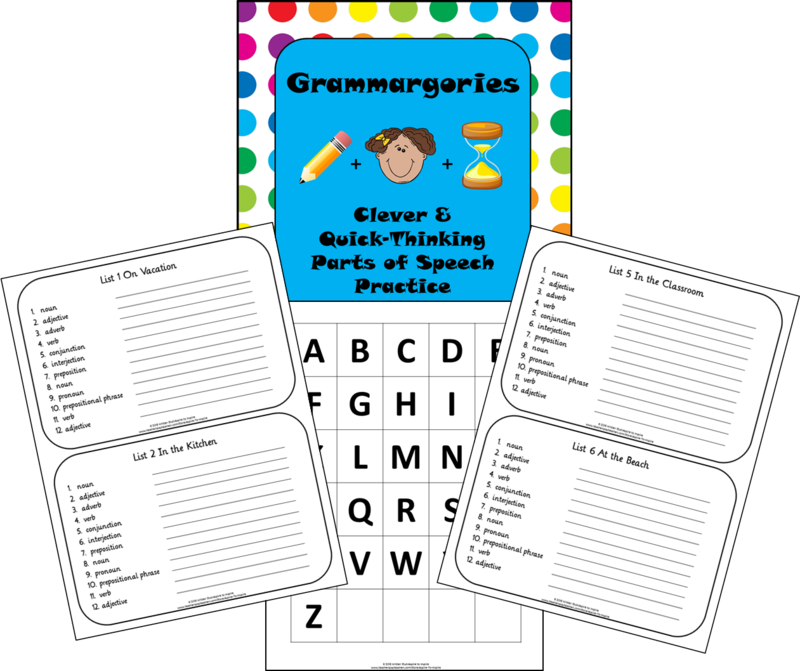 Grammargories is an entertaining and challenging activity in which students apply their knowledge of parts of speech. Inspired by the game Scattergories, students try to beat the clock as they complete lists with parts of speech related to the lists' themes. It's a quick, easy, and fun review tool for your grammar toolbox.